…and boat loads of friendliness. "Wonderful views and relaxing stay"
"We were satisfied with accommodation and stay. 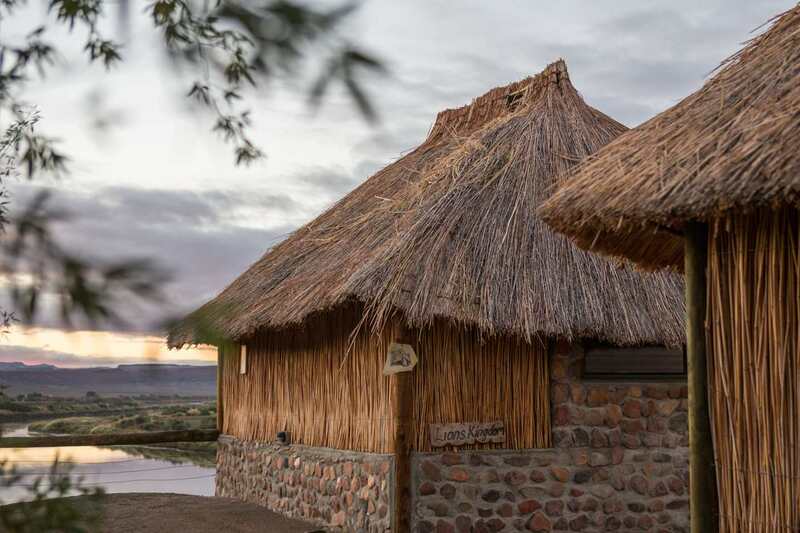 "Lovely stay overlooking the majestic Orange River"
"Our Unit overlooked the majestic Orange river and watching the sunrise was magnificent. The units are comfortable and clean. Staff are friendly and very helpful. Despite arriving quite late we were assisted to settle in and had a pleasant meal in the restaurant. " "The river right next to the cabin"
"WE truly enjoyed waking up next to the river. The chalet was also really nice. Will definitely stay there again. " Nicest place to stay in the south." "I loved the bungalows and the view. The pool was nice as well." "Felix Unite Provenance Camp Was a Great Place"
"It was very nice there. The rooms was clean and beautifully equipped. The food was so good and the environment around the pool was amazing. We would definitely stay there again." "Enjoyed it very much. Beautiful view, peaceful and quiet. Pity we only stayed over for just one night. Thanks." "We were extremely pleased and satisfied with our stay. The camp is really exceptional and well organised. It’s also placed in a beautiful setting with amazing views. The rooms are also really stunning, so beautifully decorated, furnished and spacious. Thanks for a great stay." 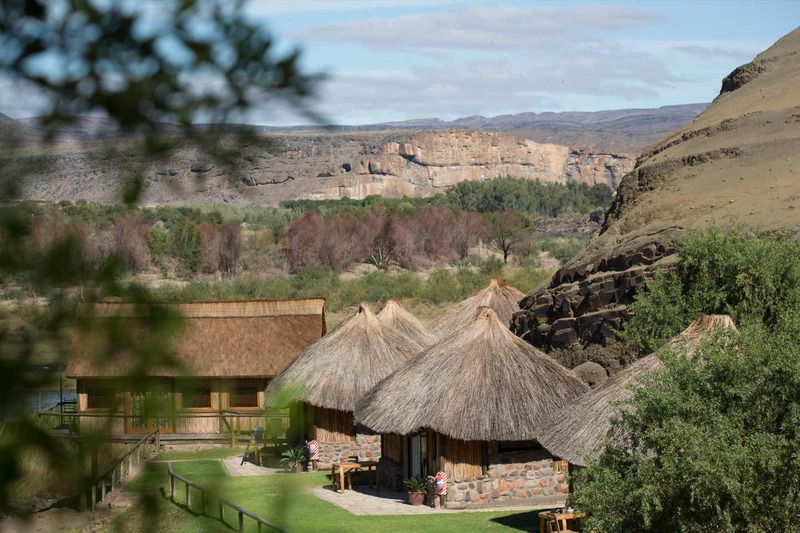 "simply gorgeous stopover on way to Namibia - quite a change from 25 years ago!!!!!" "The kids really enjoyed the 'Sound of Music' cabin. Very nice set up for a family. Lovely place and extremely friendly and helpful staff who go above and beyond." "Great Location, Relaxing and very friendly"
"We had a great stay as a young family and would have loved to stay longer. We will definitely try to come back here. The staff and management was also super friendly. Otherwise nothing else we can really complain about." "We had a wonderful stay at the cabana.Ê The views were spectacular and we sat outside till dark. The facilities were adequate, and we will certainly stay there again. "We had two days at Felix we paddled down the orange on the 2nd day it was awesome the guide was fantastic, the whole place is just too beautiful and so relaxing. Loved it so much coming back down we stayed overnight with them again.Now have to plan when we can go again and do a longer trip down the ..."
"We had two days at Felix we paddled down the orange on the 2nd day it was awesome the guide was fantastic, the whole place is just too beautiful and so relaxing. Loved it so much coming back down we stayed overnight with them again.Now have to plan when we can go again and do a longer trip down the river." "Beautiful place, friendly staff and thanks to Mr Carlos for helping us with a car problem." "Absolutely fantastic. Service, accommodation, restaurant awesome." "It was wonderful and a good experience. Thanks to the friendly staff and specially to Mario and the restaurant staff." 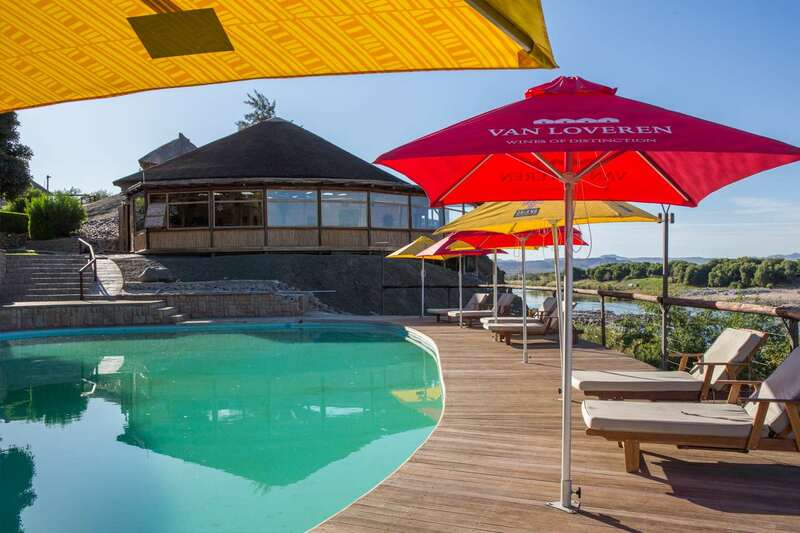 "Setting the standard for Noordoewer"
"Well designed nicely appointed cabanas kept nice and clean. Reception (Mario) was very friendly and was able to guide us as to where to swim in the river and where to ride our bikes. It is only when you ride your bike in the area does one see the environmental devastation of this fragi..."
At least one gets the impression that Felix unite is trying to keep a piece of the area nice. " "Friendly welcome beautiful clean cabanas. A pool and river to take a swim a bar, restaurant and shop. The canoe trip was awesome and the guides was very helpful and friendly. A definitely return to Felix Unite for the 4 day canoe trip." "Nice view, good swimming pool, but not so many excursions to do. Only one kayak trip at 10am, what you can only do, if you stay two nights. You can't hike by yourself because the surroundings are not good for it. The food is good, only it takes too long! We waited more than one hour for our m..."
The food is good, only it takes too long! We waited more than one hour for our main course (they told us: because there is a group what made a reservation). You can't let the other customers wait that long!! You have to make a better planning!! Keep one piece of the grill free for the other customers for example... The rooms are great! Breakfast can be much better!" "The accommodation, service, location is great (4 star); but they are being let down by their restaurant (1 star). I have stayed here on 2 occasions as some 18 months ago I only stopped over and had a great meal. I decided to stay here after that. 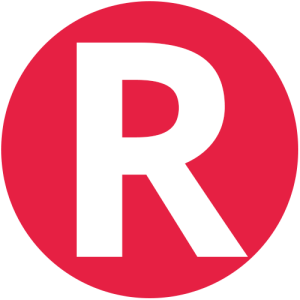 Now after being extremely disappointed twice, I don't..."
"The accommodation, service, location is great (4 star); but they are being let down by their restaurant (1 star). I have stayed here on 2 occasions as some 18 months ago I only stopped over and had a great meal. I decided to stay here after that. Now after being extremely disappointed twice, I don't think I will stay here again if I can help it. " 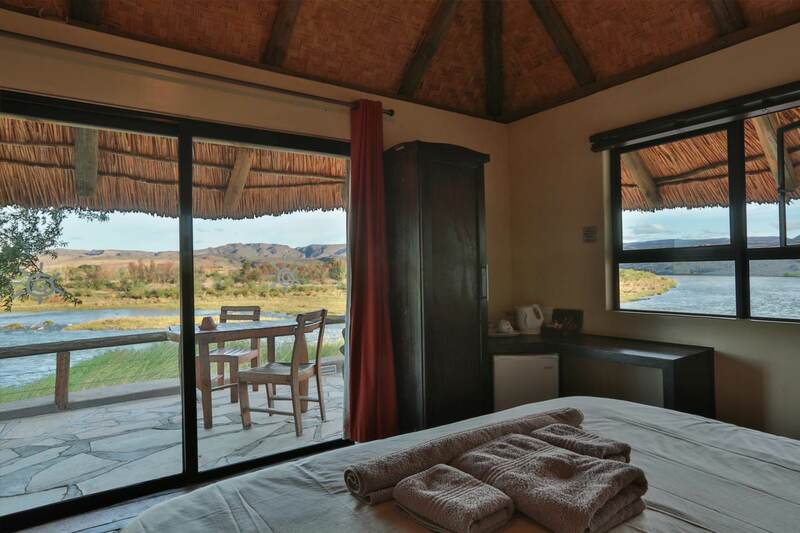 "The location is great and the Cabana's clean and comfortable, each with a patio inclusive a nice view over the Orange River. Watch for Birds. The restaurant too with a great view and good food. Service staff are friendly and helpful." "We were pleasantly surprised when we arrived at Felix Unite. This is really an oasis in the desert. I can only assume in midsummer that the guests would really like the swimming pool! We enjoyed every minute of our stay, and will definitely see you again in future! Keep up the good work." "Very nice place to stay for rest and peace and adventure"
"Accommodation was very nice and clean. Our view over the Orange river was awesome. Best place to stay. You would not made a mistake. " "Great stay! Good food and excellent location. The ideal springboard into Namibia from RSA. We will definitely stay again!" 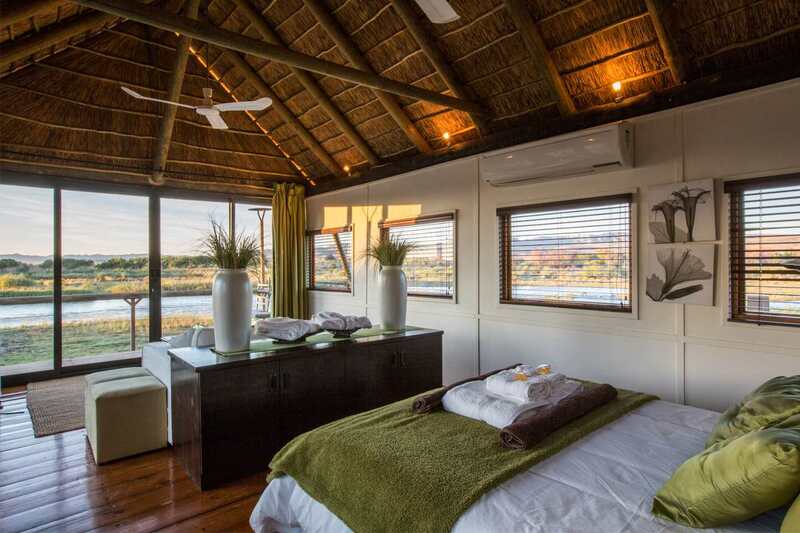 "Very nice position on the banks of the Orange River. We had the beautiful Honeymoon suite which we liked. Make sure the aircon works. When we were there the aircon heated full blast with an outside temperature of 52 degree C - to die for! Friendly owners, good food and drinks. Views d..."
Friendly owners, good food and drinks. Views did cost nothing and were really beautiful. This place is well liked by motor-bikers - 'gravel for travel'." "What a beautiful retreat. 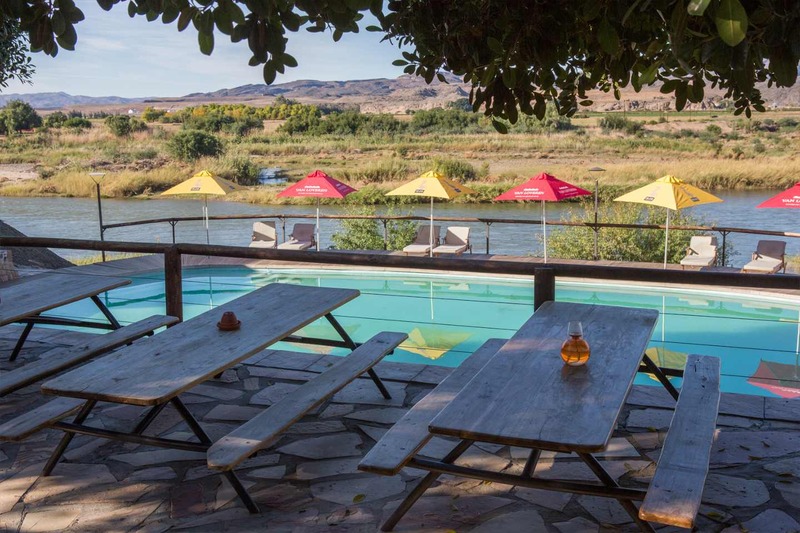 It's like a oasis in that dry warm climate with the beautiful Orange river on your doorstep. To top it all, very friendly and helpful staff. Thanks to you all that made our stay so pleasant." "Stay over accessing South Africa"
"Very neat units - once again we thought this is a self catering, but not equipped." "A very comfortable overnight stay. Staff were welcoming and helpful." "We had such a wonderful and relaxing time at the Cabanas. The accommodation was comfortable, clean and with stunning views. The staff were friendly, relaxed and professional, and accommodating. Would definitely recommend to others. Nice mix of serene surroundings and past-times and more adventure, s..."
"We had such a wonderful and relaxing time at the Cabanas. The accommodation was comfortable, clean and with stunning views. The staff were friendly, relaxed and professional, and accommodating. Would definitely recommend to others. Nice mix of serene surroundings and past-times and more adventure, social possibilities if you looking for them." "Great family accommodation, fantastic welcome and beautiful veiws all around! Wish it had been warm enough to use the pool; looked so inviting as the sun was setting!" "As 50+ year olds, married for many years, we decided to spoil ourselves and booked the honeymoon suite. What a wonderful 5 Star experience. All the staff spoilt us, truly a second honeymoon. Our room was modern, stylish and very comfortable. We'll recommend the honeymoon suite to anyone!" "Had a lovely stay on the river. Good and confortable facilities and friendly staff. " 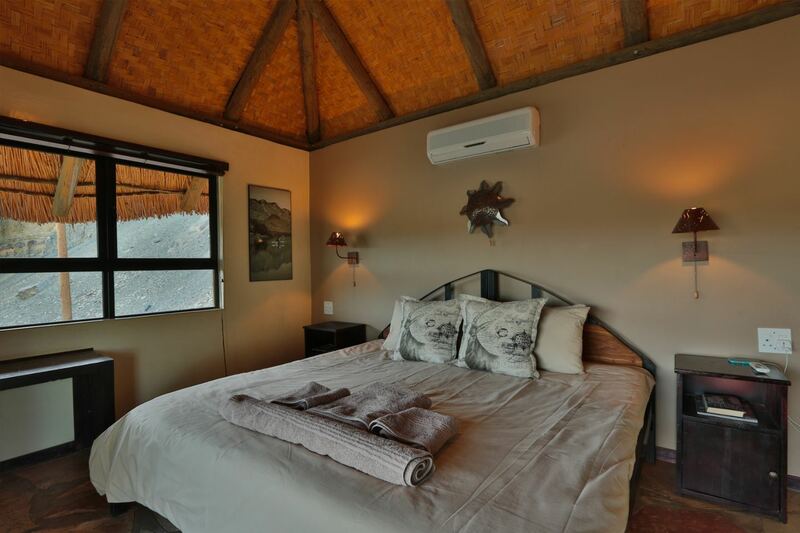 "staying at Naries was a full back to nature experience with excellent service. Best food en very friendly hostess. Will recommend to everybody." "Only stayed one night but it was fantastic. After we were booked in we took a swim in the pool and a friendly guy in the shop made us a plate of nice chips. Will certainly stay there again. " 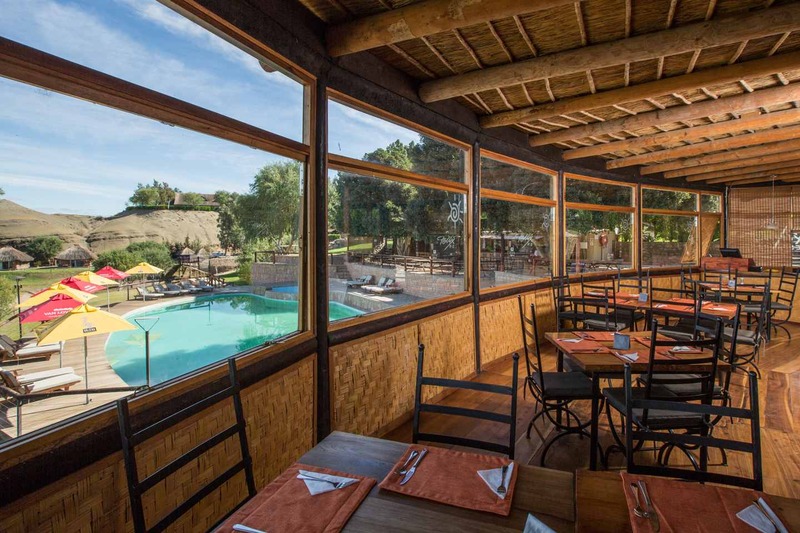 "Stay was too short to really comment but first impressions from the group were that the cabanas is beautiful and that a lot of effort was put in to make it beautiful." "Thank you! We had a wonderful stay, which was just as refreshing for the kids as for the adults. Dinner was superb, both tasty and filling. We would recommend this establishment to all." "Baie netjies. Pragtige uitsig, ek kan dit aanbeveel." "We had a wonderful stay at Felix Unite!! Everything needed for a relaxing time and for the more adventurous guests! The food was excellent. Definitely value for money. Thank you." "Enjoyed the stay and the new accommodation at top which is more spacious and conducive to a longer stay. However supper needs to improve - variety and service times ." "Felix Unite and Kuru Kuru Guest House"
"We had a wonderful stay at Felix Unite. The staff were absolutely fabulous. very friendly and eager to please. The food was good.The cabana was great. I had my best sleep there. Thank you! Kuru Kuru Guest House was also outstanding. Most hospitable hosts. Comfortable and clean rooms...."
Kuru Kuru Guest House was also outstanding. Most hospitable hosts. Comfortable and clean rooms. We had an absolutely wonderful stay there. Thank you." "We enjoyed our stay very much and will use the facility again on our trips between Windhoek and Cape Town. The cabana was very nice, well designed, roomy and well equipped." "We booked a 2-night stay for my uncle and aunt and my family with two young girls. The half day paddle down the river was a bonus as none of my family knew about the availability of the trips and they raved about it. Even my wife who was more than a bit apprehensive really enjoyed it.The caba..."
The half day paddle down the river was a bonus as none of my family knew about the availability of the trips and they raved about it. Even my wife who was more than a bit apprehensive really enjoyed it.The cabanas were just as we expected, clean cosy and value for money. A definite plus in my book. I will surely recommend these cabanas for a comfortable getaway." "Very nice rooms which are different from the norm. the view over the river is great and the whole experience good. The dinner was really good and I believe very good value for money. Pity we could not stay longer." "We use Felix as a stop-over to Ai-Ais and my mother (86) and her sister (83) were with us. 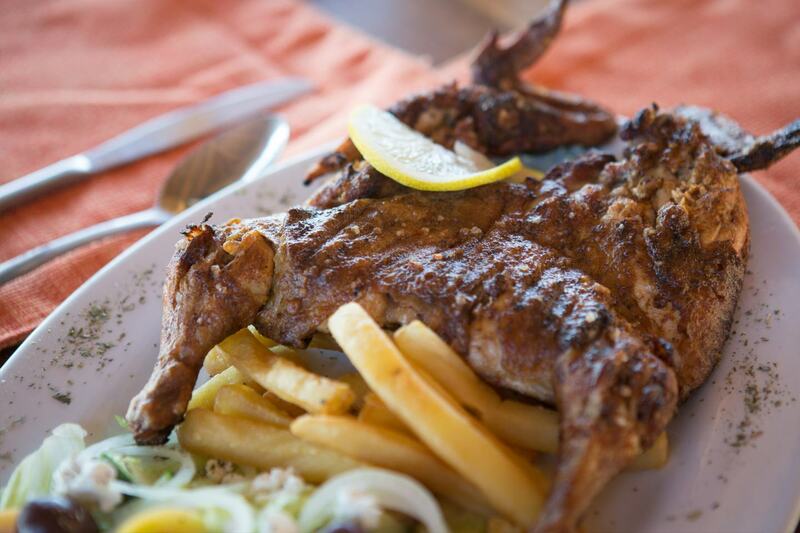 The staff were VERY helpful, friendly and the food was excellent. It was a definite highlight during our trip to Namibia. Thank you!" 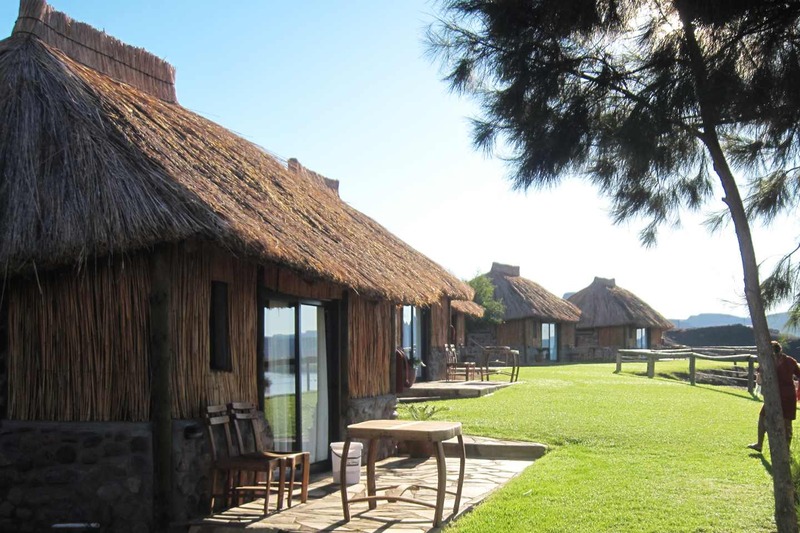 "We thoroughly enjoyed our stay, pity we arrived late due to car trouble. Thanks very much to staff who provided us with food even at such a late hour. We would definitely like to come back and do the rafting experience. Please keep us updated on special promotions etc."